Jackie Shapiro for French Bull gives us Farm!! Friendly farm animals, an animal themed word print, cheerful clouds and textured wood prints all in her signature bright color palette. 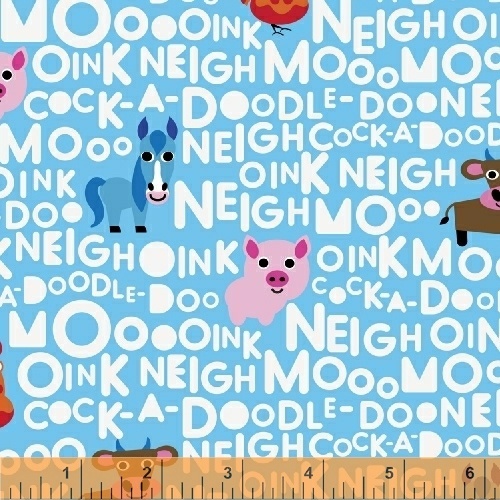 This kid-centric collection makes it perfect for nursery quilts, school room accessories or cute overalls and other apparel. 15 skus. Delivery to stores November 2016.